The Wisconsin State Prison system has become a joke when it comes to rehabilitation, because there is no rehabilitation, no incentives and no efforts within the system to try to motivate offenders towards positive change. Governor Walker took what incentive offenders had away when he did away with Act 28 and other options offenders had before Governor Walker and Truth and Sentence (TAS) came into effect The Wisconsin Prison system has become like a "Ponzi Sheme", a money making system for big investors to get rich quick at the taxpayer expense. Wisconsin taxpayers pay $50,000 plus for each of the 20,000 plus offenders yearly. I feel the system is run similar to its Dairy Industries. They house offenders in warehouse like settings, feeding, bedding and clothing them until their release date or transfer to another institution, as with the fanner. The cattle is taken care of until sold or slaughtered, you make the call. This also reminds me of another atrocity that happen to a race of people about 400 years ago which is still happening in a very covert way throughout this world today. But I won't go there, at this time. From 1980 to 1990 the prison population jumped from 3,980 to 7,362, and from 1990 to 2000 the population jumped to 20,336, and from 2000 to 2008 it jumped to 22,443 and from 2008 to 2009 it went down to 20,917, costing taxpayers at that time $50625 per inmate that year. 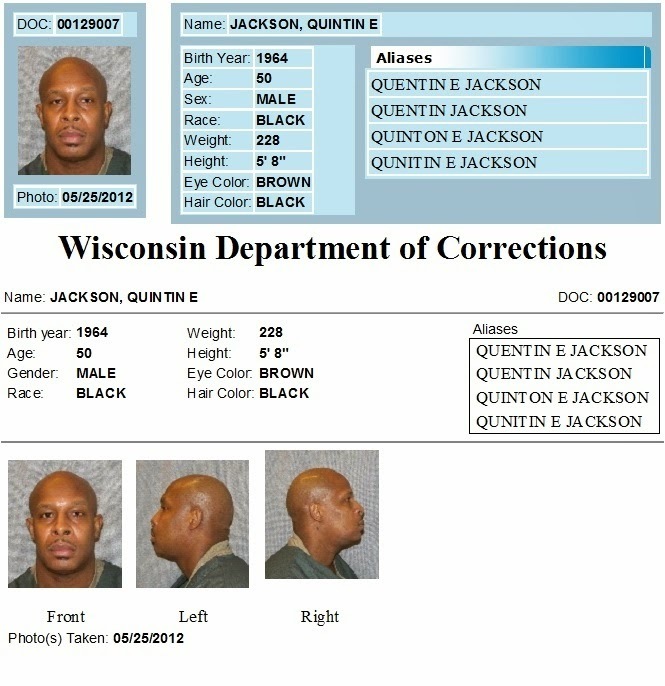 The Wisconsin Correction Institution System seems to be greatly flawed in it's rehabilitative methods for changing the offenders behavior, and criminality thinking. This may be because everyone from the Governor, the Judge, right down to the Warden and it's staff, with the exception of the teachers, seem to think punishment rather than correction. Now don't get me wrong there are some people that need to be in prison for the heinous crimes they have committed and for them there may not be any help. But for the ones that can and want help, it should be afforded them accordingly. Now this leads me to the Department of Corrections Mission Statement, which says "Developing individualized correctional strategies based on the uniqueness of each offender holding offenders accountable for their action though sanctions, restitution and restoration". I don't see how these unique strategies has been working sense there is this outrageous turnover rate for re-offenders. I think that if there is going to be any gained ground in this area, issues must be addressed as soon as the offender comes into the system, and not be just shuffled through or put on the back burner and hope the offender changes his/herself. This is what seems to be happening from my perspective and personal observation. The teachers here are the only ones in my opinion that are developing individualized correctional strategies based on the uniqueness of each offender, and encouraging change with the offender by helping them overcome some of their shortcomings by motivating them and empowering them with knowledge, while maintaining there professionalism and integrity. In 2012 taxpayers spent 800 million in the Wisconsin Prison system for its operations, offender's rehabilitation, education and motivation for positive change. This brings me back to the Mission Statement for the Department of Correction that says "Being accountable to taxpayers through efficient, effective and innovative management of resources" I don't think so! Offenders are placed on waiting list to address the very issues that has gotten them here in the first place, and from my understanding you can be on these waiting lists until you are three years away from your release date. I don't think this is efficient or effective or innovative managing of the resources here in the institution. Because there are a lot of us who are waiting with a lot of time left before release that need these programs so we can get to a minimum or to address the issues that has caused us to be here. Either way its a catch 22 because everyone that comes into the system is given some A& E needs such as AODA, CGIP, GED, Domestic Violence or a Vocational need that must be addressed before you are even considered to go to a minimum. So here's the catch if you have a lot of time, 7 or 8 years you are put on the waiting list doing nothing or offered nothing to address your issues, until you get within that three year mark. So people like myselfjust wait here with no kind of incentive but self will and motivation to change and do better with what I have at hand. As for these over paid babysitters they call correctional officers its a battle within itself at times to understand what's what with them. Some are really decent people, but others are just down right mean and evil people that should not be working in this type of setting because they create a high security risk for themselves and others including the offender. In my opinion these officers are only here for a paycheck and to make the offenders time even harder. Just the other night an officer threw a shampoo bottle almost hitting an inmate and officer said "Write me up ifyou don't like it. "This officer has been reported several times for repeated behavior of this sort but nothing has been done as of yet. This brings me back the mission statement "Assuring that staff functions professionally, honestly and with integrity." This is certainly not true for this officer. Prison has not been all bad for the most part, I think it was designed with good intentions but over time lost its vision for rehabilitation for the offender. But honestly speaking it saved my life and possibly others because I was using drugs and alcohol on a daily basis and driving under the influence about 80% of the time. Not only has prison saved myself, I have heard other individuals story about how they were "getting money" as they would call it and they were saved as well but will not admit it. The young kids that are in this system reminds me of myself when I first came into the system, young, dump and full of......you know what I mean. 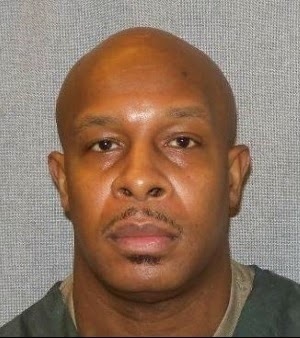 I came into the Wisconsin prison system for the first time when I was 18 years old: That was 32 years ago and like a lot of the young guys I see around here, I didn't take things serious. I had a bad attitude, didn't respect authority, and hated anyone telling me what to do. Needless to say I didn't change because I didn't want to at the time. So this became a revolving door for me until 1995 when I was sentenced to 7 years in the Wisconsin State Prison System. I severed 4 years 9 months (my release date). That was the longest prison term I had ever severed until now. I thought that would be the last time for me and I would never come back to this place, but here I am, 12 years later severing a 8 years two, two year consecutive sentence for my 5th and 6th OWl and two, 1 year consecutive sentence for Bail Jumping and Possession of Narcotic Drugs and 4 years for the 7th OWl which is a total of 10 years but because of jail credit and time already served I have 8 years left. I realize now none of what I was doing was worth this, nor do I blame anyone but myself lam now trying to make the best of it, by educating myself and staying busy and expressing myself in my writings about things that are happening in the present. The older I get the more I see the importance of being responsible and being a good roll model for my kids, our youth in today's society. In the news there is so many young drug users and crimes committed by our youth. On a daily basis someone is getting killed, shot at and ifs mostly young adults ages 16 to 25. They too, those who survive the streets will be coming here to serve time in the Wisconsin State Prison System. There must be something I or we can do to help our younger generation that will be coming into this place so they won’t have to let this be a life style or a revolving door for them fbr the next 30 years, as I have. A change must take place from both sides.